I grew up in Kansas, right in the center of the American Midwest, where it can drop to -19 in the winter and shoot up to over 100 in the summer. Our erratic weather patterns led to a popular saying: “Kansas exists to prove God does not believe in weathermen.” One wonders if there’s a similar saying in Oklahoma, where University of Oklahoma meteorology professor and Atmospheric Radar Research Center researcher Phillip Chilson has developed an ambitious plan to use drone technology to improve weather forecasts. Here’s how the plan would work, per an interview with Daily Press. 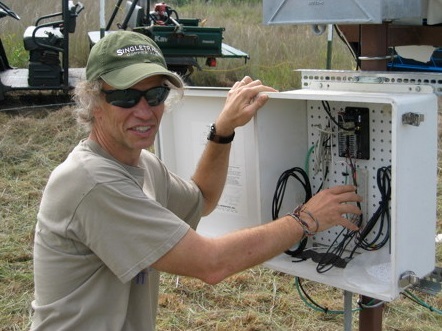 It starts with a network of 30 foot tall environmental monitoring towers stationed across the United States. These towers, working in tandem with a network of autonomous and manned ground stations, would constantly collect samples of air pressure, temperature, humidity, wind speed, and wind direction. In addition, once every hour or so, these stations will launch autonomous drones that fly up a mile or so into the air. These drones will be able to take meteorological measurements from inside the Earth’s atmospheric boundary layer, or ABL. The ABL is the lowest part of the atmosphere – the part that makes direct contact with the surface – and as a result it’s extremely dynamic, extremely complex, and not easy to study with the current instruments used in meteorology. 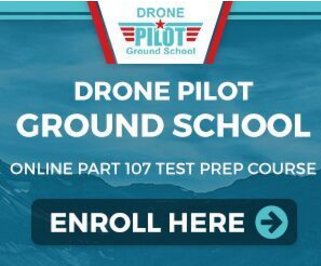 These drones will collect enough data to help construct a vertical profile of the lower atmosphere. Said data will then be fed back to the ground stations, where they would be incorporated into forecast computer models. If this model indicates an approaching storm or some other form of potentially dangerous atmospheric disturbance, more vehicles will launch — an “intelligent swarm of drones that coordinate with each other on how best to interrogate that region of the atmosphere, gathering more data, still feeding the models.” This “swarm” would also include smaller, expendable winged drones that fly around the storm itself in a controlled manner to collect even more samples before they’re ultimately destroyed. The hope is that all of these measurements, combined with the traditional measuring methods such as research aircraft, weather balloons, or Earth-observing satellites, could give meteorologists a fuller and more accurate picture of any incoming weather patterns, so that they can better communicate those patterns to the people in their path. Getting that data from the boundary layer is particularly useful, as it can give forecasters a clearer picture of the paths of tornadoes, hurricanes or other severe weather. Boundary layer data is also a deciding factor in better crop management, helping firefighters detect shifts in the wind patterns of wildfires (which is becoming an increasingly important part of their job in certain parts of the country), and of course for drones themselves. Some have suggested that better low-to-the-ground weather forecasting is going to be a necessity if we ever want to make drone delivery into a major part of American life. There’s no denying that this plan is incredibly ambitious – perhaps even unrealistic. Chilson himself is more than willing to admit that: “I’m trying to think how to say this without letting myself get too excited and make a false claim. 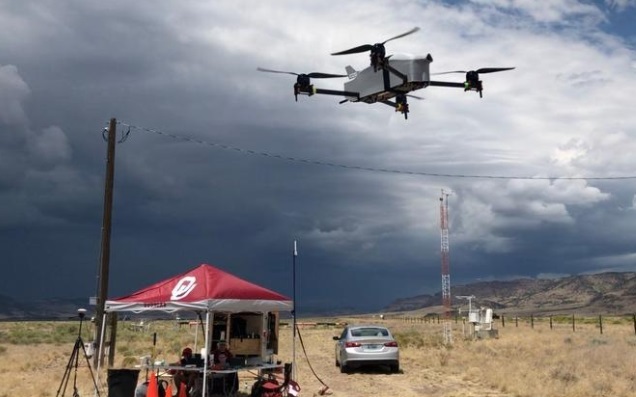 It is going to take a while.” However, Chilson has spent years doing cutting-edge research into meteorological drone use at the University of Oklahoma. And this Tuesday he’ll be presenting his research at the NASA-sponsored Sigma lecture series at the Virginia Air & Space Center. 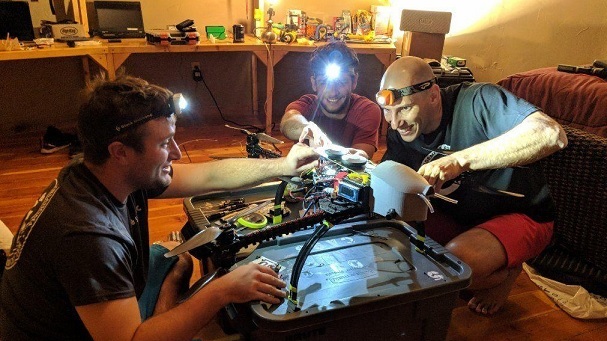 “His pioneering work with UAS represents an important emerging technology for tackling the tough problem of getting enough weather data in the lower-most atmosphere, near the Earth’s surface,” said Melody Avery, a research scientist at NASA Langley who recommended Chilson for the lecture series. So what do you think, readers? Are Chilson and Avery onto something? Are drones truly the future of weather forecasting? Or is this plan too unwieldy, too expensive, and too technologically improbable to ever get off the ground? Be sure to let us hear your thoughts in the comments below!